Toxic Planet: The Global Health Crisis, the Pulitzer Center's newest e-book, is now available free on iTunes, Kindle, and Atavist. 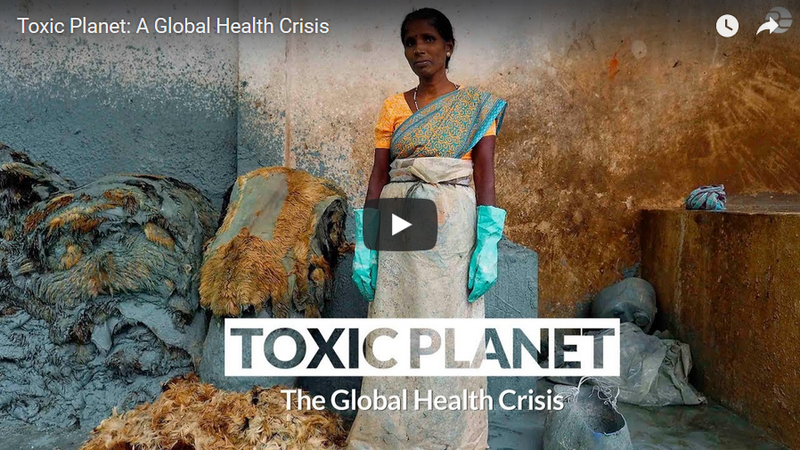 The Pulitzer Center’s newest e-book, Toxic Planet: The Global Health Crisis, brings together their stories, brilliant and heart-wrenching photography, and video to form a more complete picture of the challenges the world faces and of the profound impact of toxic chemicals on all humans, most noticeably on babies and children. Many of the portraits of families are intimate and deeply troubling. Profiles of advocates who seek to raise awareness and innovators who create cleaner supply chains are also featured. Contributors to the e-book include Nathalie Bertrams, Caitlin Cotter, Fred de Sam Lazaro, Yolanda Escobar, Sean Gallagher, Beth Gardiner, Ingrid Gercama, He Guangwei, Makenzie Huber, Lynn Johnson, Michelle Nijhuis, Richard C. Paddock, Debbie M. Price, and Larry C. Price. It features reporting and documentary photography from Indonesia, Bangladesh, India, China, Dominican Republic, Malawi, Guatemala, Poland, Ecuador, Zambia, and the United States.